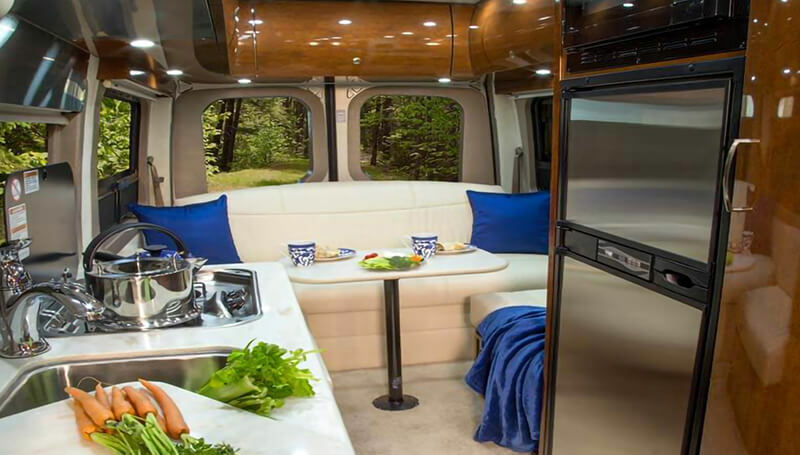 The combination of the fully opening side door, roll up screen package and generous 6 foot Corian® countertop allow for a preparation and serving area that lets you enjoy the outdoors wherever you are camped. 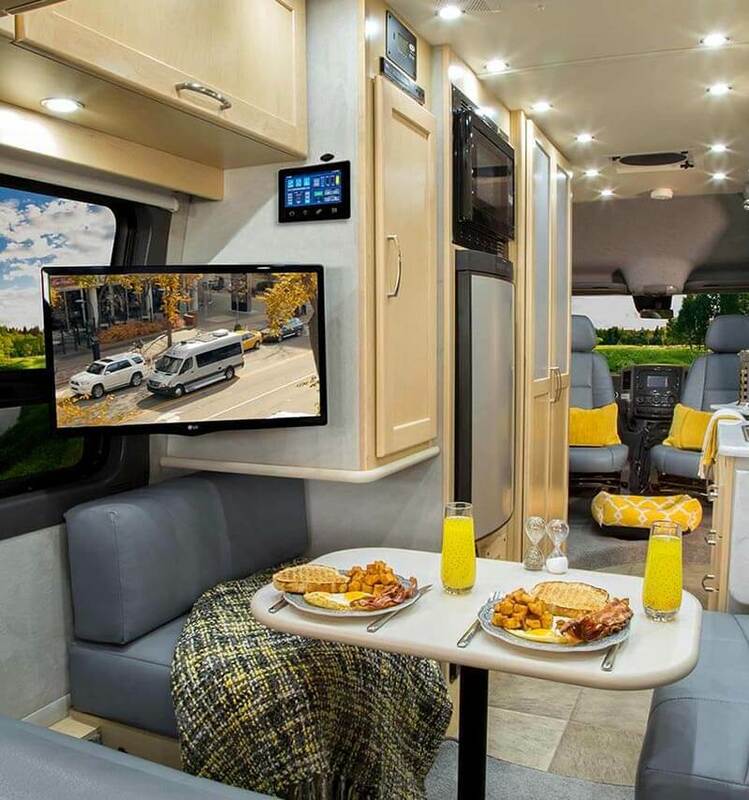 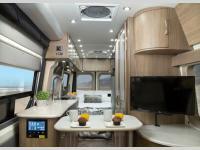 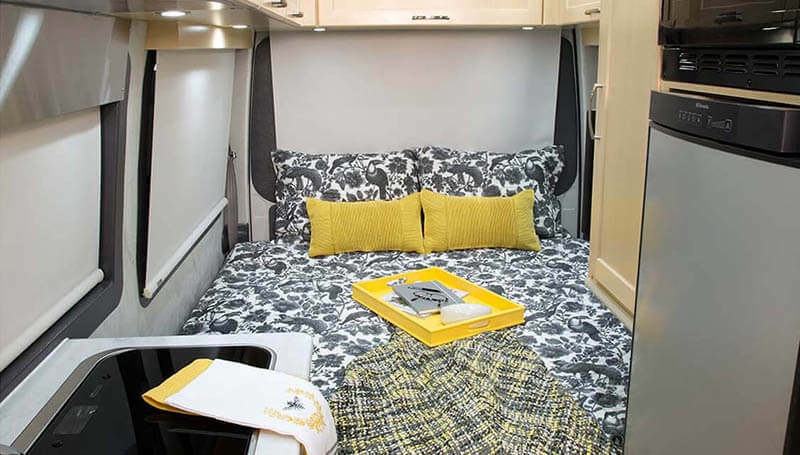 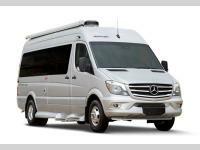 Solid maple cabinetry, luxurious Ultraleather® upholstery and touch screen control panels make the Plateau TS a rich and impeccably styled Class B motorhome. 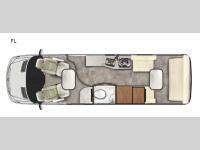 The Plateau FL makes optimal use of its space by melding the benefits of a front lounge area with the ease and practicality of the rear power sofa arrangement. 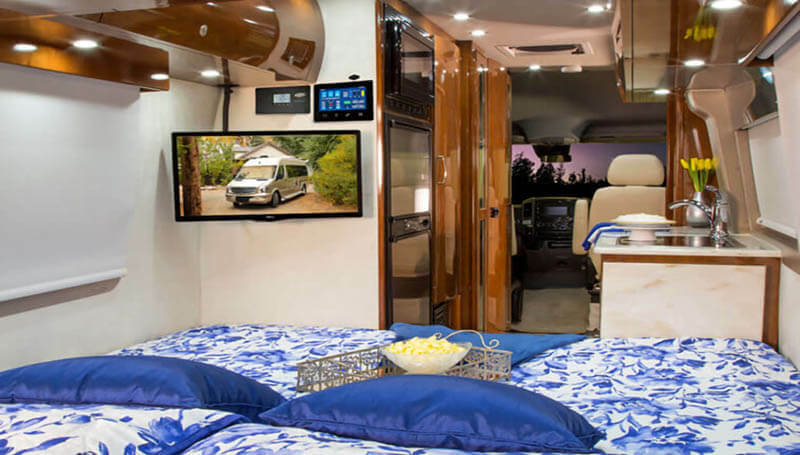 The front lounge utilizes the two captains chairs that swivel to form a second dining and work area that comes equipped with a Corian® topped workstation, 24” flat screen TV, reclining chairs and optional front table location. 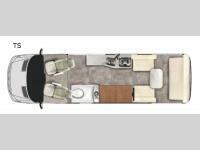 The Plateau FL will accommodate a wide range of lifestyles with its incredibly functional layout.